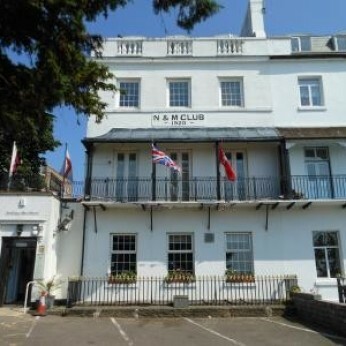 Join us at The Naval & Military Club for live entertainment from Two Hot from 2pm. All are very welcome to join us. Non- members have to sign in a small fee of £2.00 applies. Join us at The Naval & Military Club for live entertainment from Peter George from 2pm. All are very welcome to join us. Join us at the Naval & Military Club for live entertainment from Mel walker from 8.30pm. All are very welcome to join us. Non-Members have to sign in a small fee of £2.00 applies. Bingo starts at approx 9.15pm. All money from Books goes int the prizes. More people - more and bigger prizes!!!! Join us at The Naval & Military Club for live entertainment from Robert Rightt from 2pm. all are very welcome to join us. Join us at The Naval & Military Club for live entertainment from the Persuaders Band From 8.30pm. All are very welcome to join us.